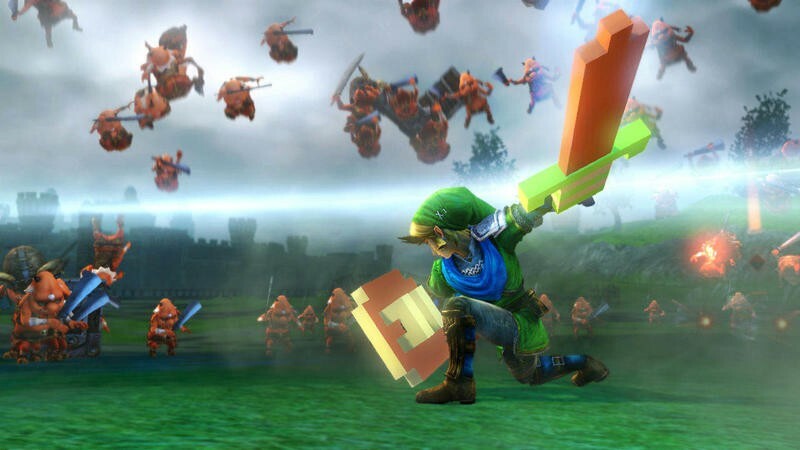 It's Dangerous to Go Alone in Hyrule Warriors. Take This! Oh man, just when I thought Hyrule Warriors‘ hype had all but wrapped up, Nintendo drops a major Super Bomb into my lap. The Wooden Sword from the original game is going to make an appearance in an incoming update. The game has already been available for two weeks in Japan, and while reports on its success have varied, new content is scheduled to be added on Sept. 1. Developer Koei Tecmo promised to deliver big on a long term scale, and why start small? The Wooden Sword is the very first weapon Link ever uses in the series, and its pixelated representation fits so perfectly with the insanity of this game. New additions with the update also include the ability to choose your music before entering a new battle, a challenge mode with a new scene called “Faron Woods, The Great Battles!” and fixing standard bug issues. See the entire list below. Challenge Mode – Take on eccentric battles in this challenging new mode. 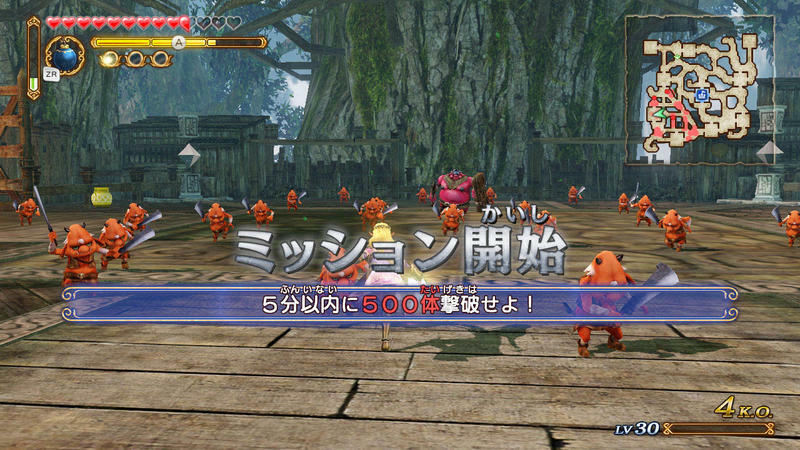 In the added scenario “Faron Woods, The Great Battles!” players will challenge enemy outbreaks one after the other and aim for the shortest clear time. 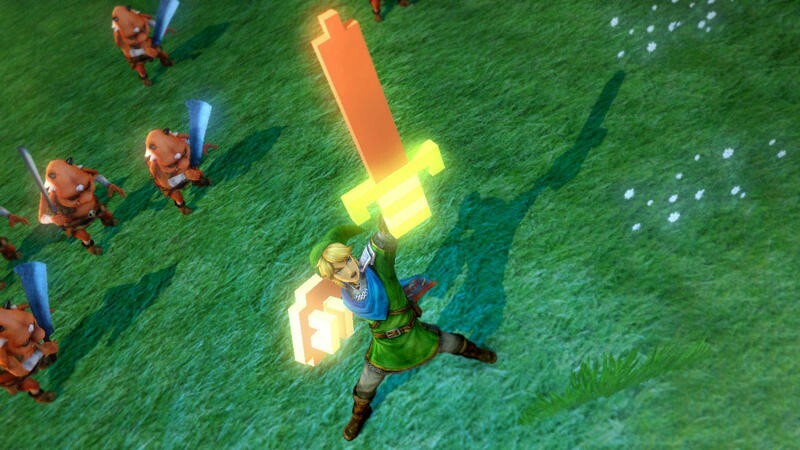 New Weapon – A new “Sword” weapon for Link with a pixelated appearance. Pixelated shield included. 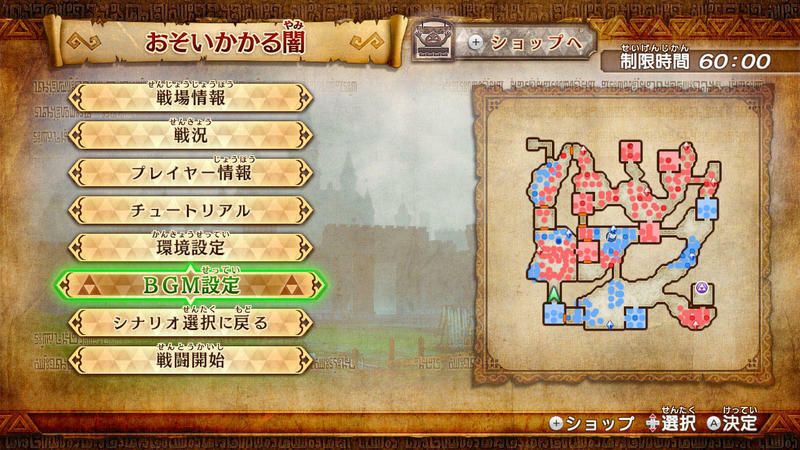 BGM Options – A new function to change the BGM played during battle. Before the start of each battle, by selecting “BGM Settings” from the menu screen, it’s possible to change the song to one you’ve already come across. Fixed a bug that reduces your max strength if you’re defeated in battle. Fixed a bug that where sound was not output from the TV when starting up the game after playing only on the GamePad. Fixed a bug that paused the BGM during the battle victory screen. Fixed a bug where, in rare cases, the screen would go black and sometimes freeze after a battle is won. Yeah, yeah, blah, blah, all I read was Wooden Sword! We still have a month to go before the game gets released in America, but chances are we’ll be seeing these updates shortly after that. My biggest complaint about Hyrule Warriors has been that the game leans so heavily on imagery from the 3D games that the overhead classics have been vastly overlooked. The Legend of Zelda does receive a fair bit of attention at least in the form of the game’s “Adventure Mode,” but this new Wooden Sword is about as cool as it gets! Now, more Link to the Past content, please! 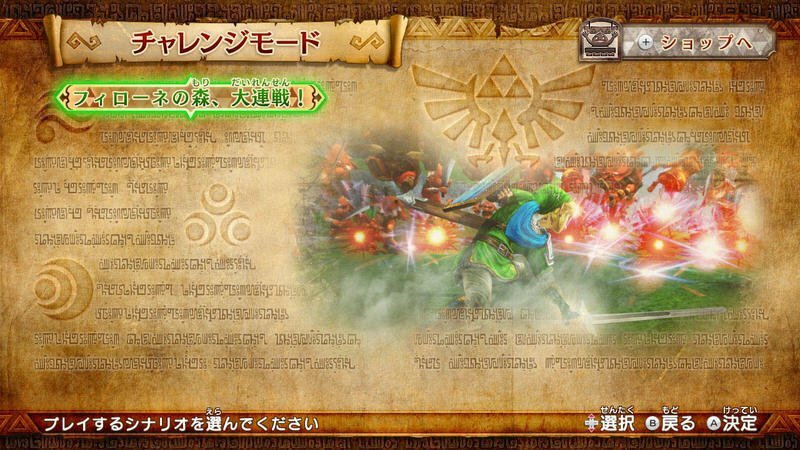 Hyrule Warriors will be released in America on Sept. 24 for the Wii U.